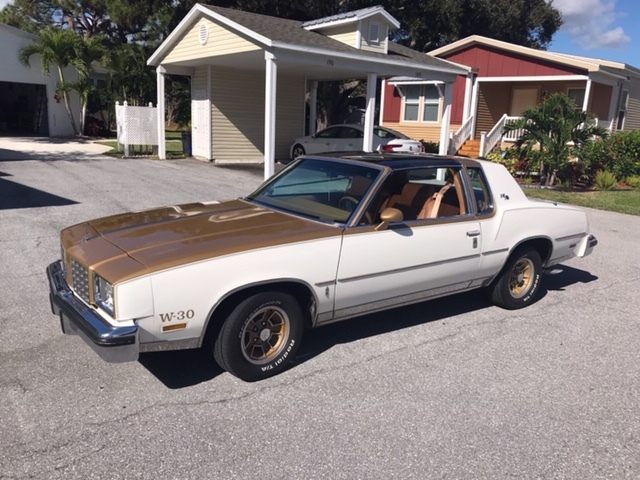 1979 OLDSMOBILE HURST W 30, VERY CLEAN, INTERIOR DOVE SKIN, T-TOPS, RUNS AND DRIVES GREAT, ALL ORIGINAL SURVIVOR. PHOTO'S COMING SOON. 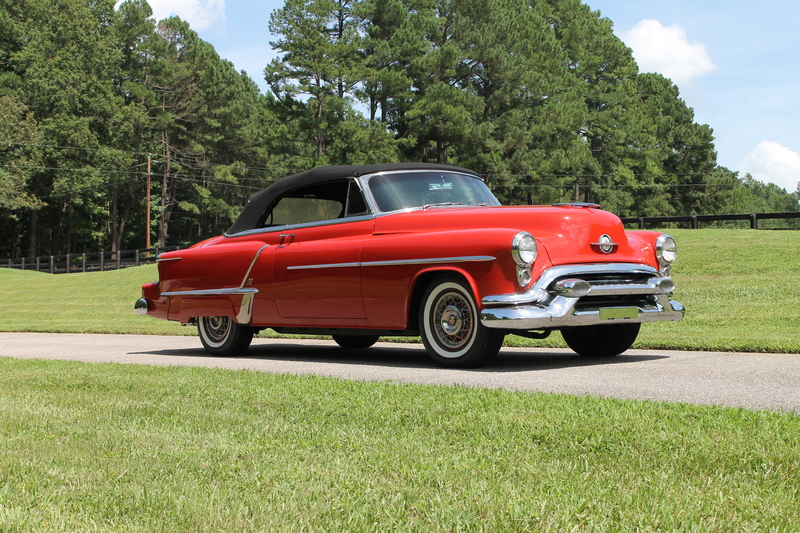 1950 OLDSMOBILE 88 CONVERTIBLE HAS HAD THE SAME OWNER FOR THE LAST SIXTY FIVE YEARS. IT IS EQUIPPED WITH ITS ORIGINAL ENGINE, FOUR SPEED HYDRA-MATIC AUTOMATIC TRANSMISSION, INDEPENDENT FRONT SUSPENSION AND SEMI-FLOATING REAR AXLE. THE ENGINE COMPARTMENT IS NICELY DETAILED AND THE OLDSMOBILE ROCKET NAME IS SPELLED OUT ON THE ROCKER COVERS. THIS VEHICLE IS IN A CLASS BY ITSELF. 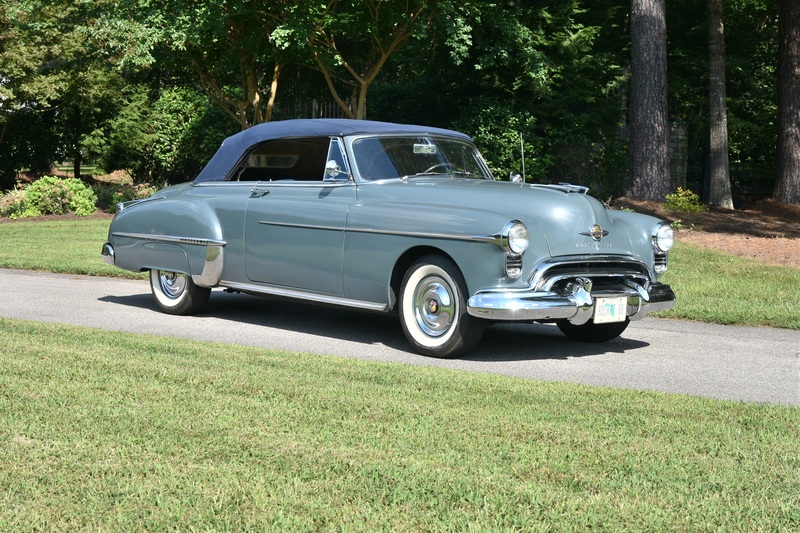 1953 OLDSMOBILE ROCKET 88 EXTREMELY RARE MODEL IN ABSOLUTELY PERFECT CONDITION BOTH COSMETICALLY AND MECHANICALLY. 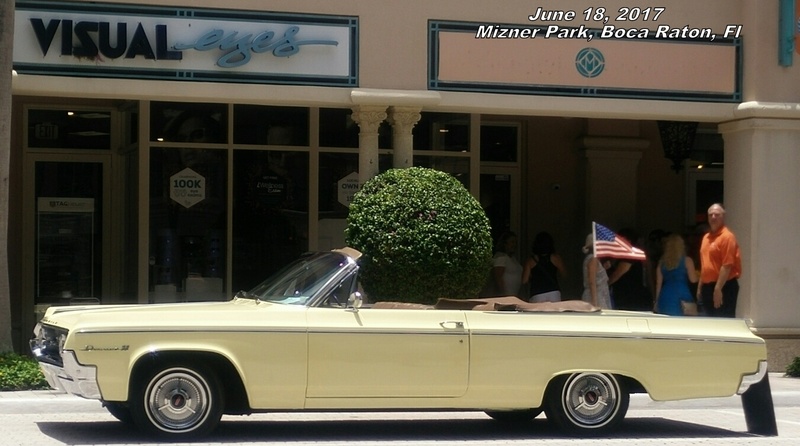 THIS BEAUTY FEATURES FACTORY WIRE WHEELS, CONTINENTAL KIT, FULL FENDER SKIRTS AND ALL THE POPULAR POWER ACCESSORIES. ALL BRIGHTWORK, THE LEATHER INTERIOR AND THE BLACK HAARTZ CLOTH TOP ARE AS NEW. 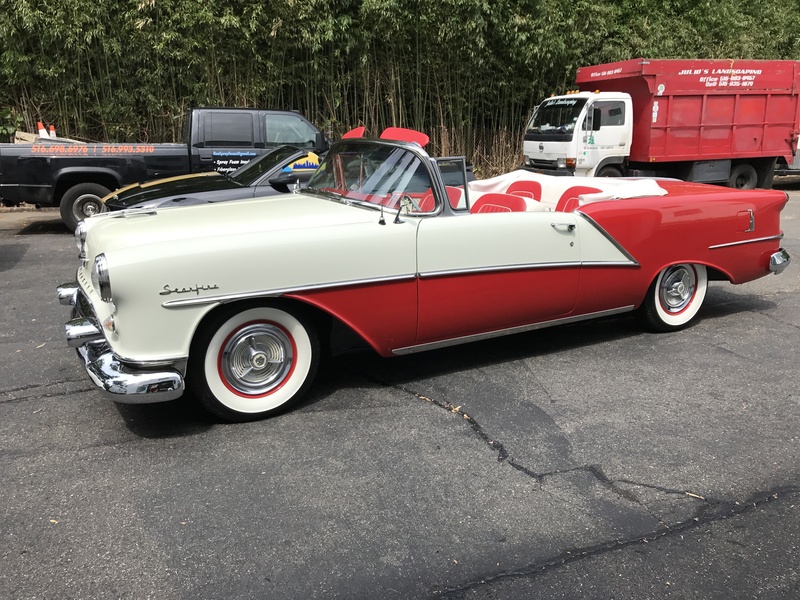 OLDSMOBILE CONVERTIBLES FROM THE EARLY 50S ARE SELDOM OFFERED FOR SALE LET ALONE IN THIS STUNNING CONDITION. THIS IS A RARE OPPORTUNITY TO OWN A TRUE AUTOMOTIVE TREASURE. 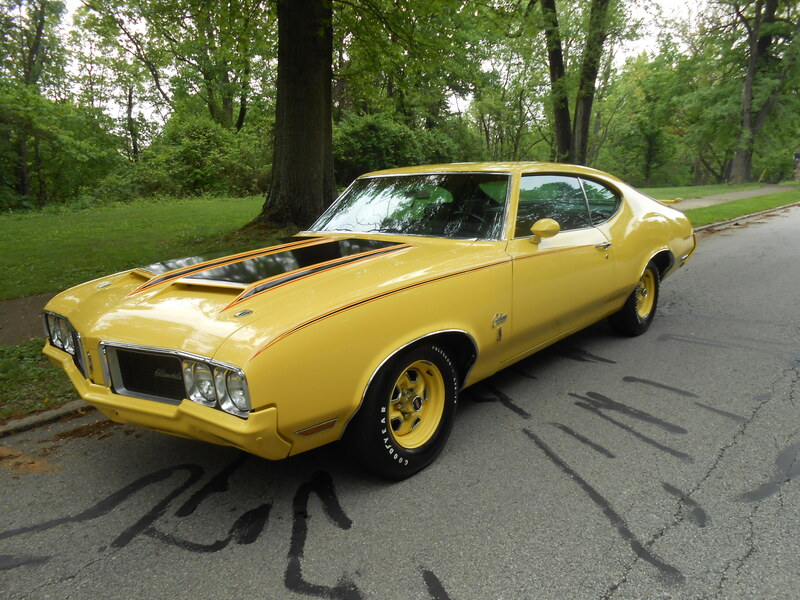 1972 OLDSMOBILE CUTLASS SUPREME CONVERTIBLE , BLACK WITH WHITE RACING STRIPES, BLACK INTERIOR, POWER STEERING, DISC BRAKES, NEW 4 BARREL CARBURETOR AND MANIFOLD INSTALLED IN 2017. GREAT DRIVER!